The Basilique Notre Dame de Fourviere sits high atop the Fourvière Hill in Lyon, France. It was built between 1872 and 1876 in a neo-Byzantine style and offers a magnificent view over the city. 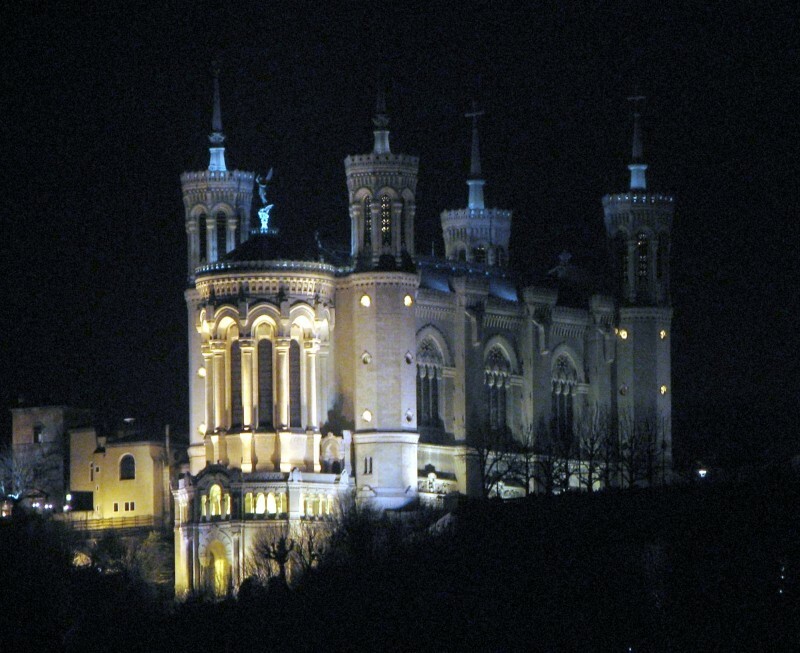 This basilica sits high above the top of Lyon and the site itself gives great views of the city. I enjoyed looking inside, it is indeed a lovely basilica but actually I enjoyed the outside view more and it is always hard to keep kids quiet inside churches! We took the public funicular railway up which the kids enjoyed more than the church. But the combination of the funicular and the church was good and it was worth the effort.